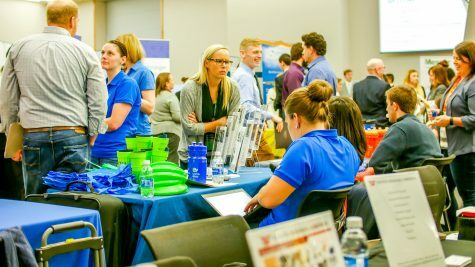 More than 135 businesses attended the Career Expo. 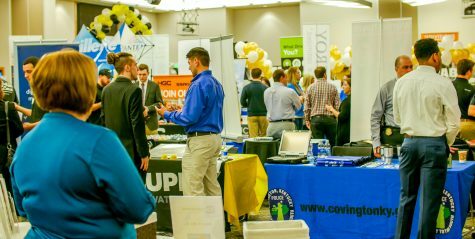 More than 135 employers filled the Student Union Ballroom as students moved from booth to booth looking for potential employers at Northern Kentucky University’s Career Expo. Students from all majors were encouraged to attend, and employers offer jobs from art to accounting. 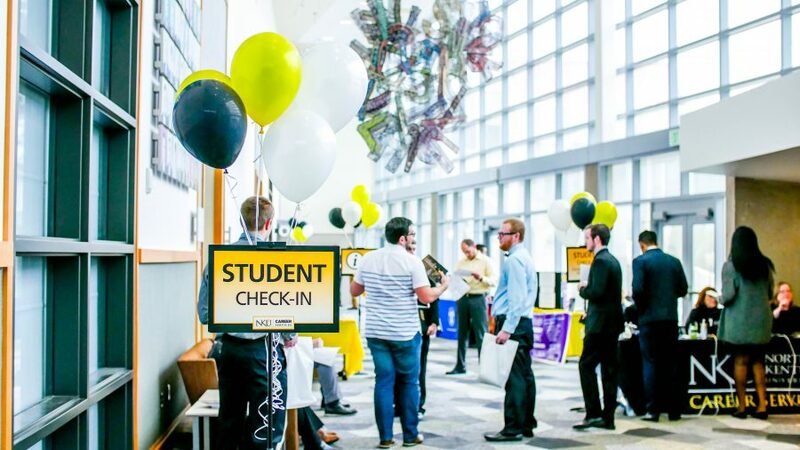 NKU’s Career Services offered a directory of all employers, as well as tips and additional information on their website for students to prepare for the career fair. Students filled the Student Union Ballroom at the Career Expo. Some students attended the career fair looking at options for their future, including freshman criminal justice major Ryan McClanahan. McClanahan was attending his first Career Expo, and was primarily looking for jobs in government. While McClanahan was attending his first Career Expo, many of the employers have been coming for years, including Pam Bowers with the Drake Planetarium and Science Center. Bowers has been coming to NKU’s Career Expo for the planetarium for the past five to six years. 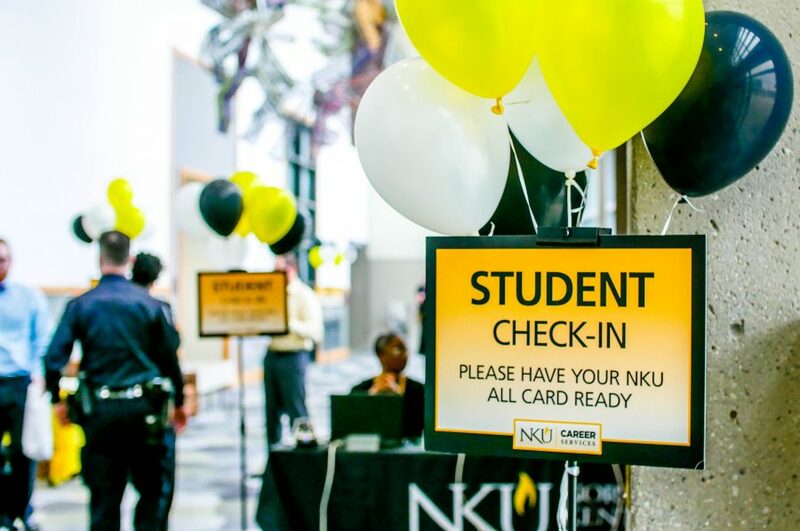 During that time, they have hired around 10 NKU students who exemplified professionalism at the Expo. “If they can present themselves well (at the expo), then they can present our exhibits well,” Bowers said. Bowers said they like students who are friendly and sociable. Bowers said previous experience isn’t necessarily required as the planetarium teaches most of the other skills. The planetarium focuses on encouraging an interest in STEM fields in children, and both volunteer and paid positions are available in working with and presenting to children. Anyone is encouraged to apply if they meet necessary social skills. Businesses interviewed potential employees at the Career Expo. Career Services arranges the Career Expos, and some students who attend the expo are volunteers recruited through Career Services, such as sophomore biology major Ross Skeens. Skeens and the other volunteers act as guides for people attending the expo, as well as helping the employers unload and set up their tables. Bill Froude, director of Career Services, said that the best thing for students to do if they missed the Career Expo, or to follow up after attending, is to make sure they are using HireNKU. Every student has a HireNKU account, and they can use it to look for posted positions, and see who’s coming to campus for on-campus interviews. Froude also encourages students to upload their resume to HireNKU. 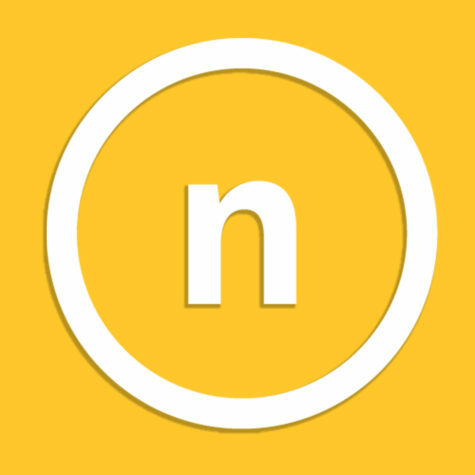 While students can look for jobs without having their resume online, employers cannot find them via search if they do not have a resume uploaded. Career Services also offers workshops for help with resumes, interviewing techniques, and job-searching strategies, which Froude also strongly encourages students to attend.